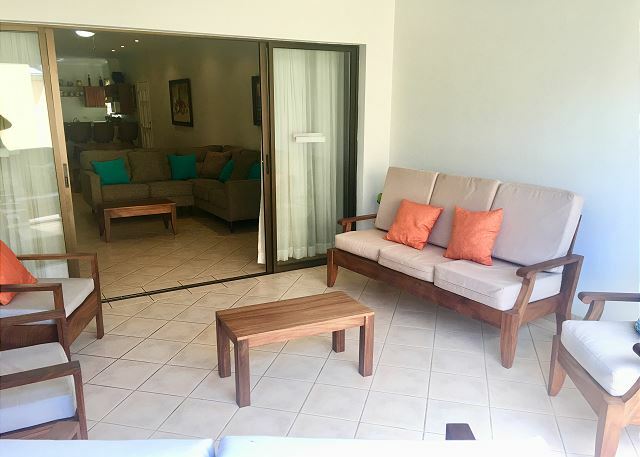 The Sunrise 31 vacation condominium is a beautiful 3-bedroom, 2-bath home located on the third floor of the Sunrise resort just across the street from the warm waves of Tamarindo beach. 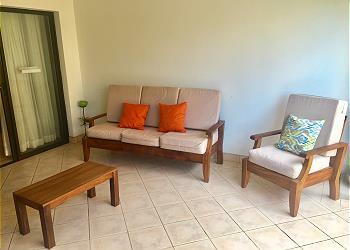 Up to seven guests can enjoy this space, its bright sunny living area, and its breezy terrace that is perfect for outdoor dining. Sunrise 31 is a spectacular home away from home. The fully equipped kitchen has everything you expect and need to prepare and serve in-home meals. 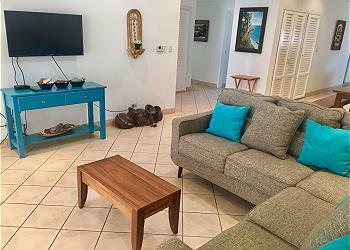 A apartment sized laundry facility is located in the home, and all of the luxury amenities are included: air conditioning, wi-fi, cable tv, soaps and shampoos in the bathrooms, and housekeeping is provided during stays of 4 days or more. Without a doubt, the Sunrise resort is the best-located vacation destination in Tamarindo. 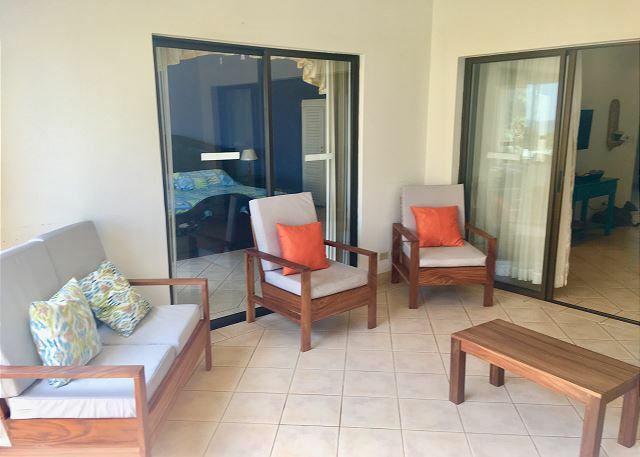 Directly across the street from the beach, this is spot is a prime choice for families with children, surfers who want to spend as much time in the break as possible, and beach lovers of all types. The Sunrise resort includes a guarded, gated parking area for your rental vehicle, and it will be spending a lot of time there because you won’t need it often. 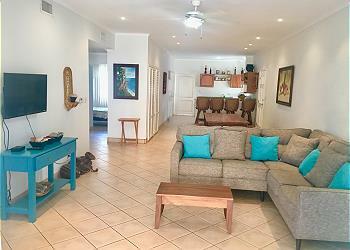 Tamarindo’s restaurants, bars, shops, and nightlife are all within easing walking distance of Sunrise 31. Another favorite at Sunrise, is the custom oversized resort pool. The pool is a favorite among the youngsters in the family, with its walk-behind waterfall and a shallow section for the smaller tykes. A spacious sun patio with lounge chairs and plenty of palm trees surrounds the Sunrise pool. Of course, during your Tamarindo vacation, you’ll want to get out and do some exploring. Our Concierge service is the local expert on what’s fun and how to get it all booked in time. Canopy tours, surf lessons, fishing trips, sailboat cruises, mountain biking and ATV safaris are just the beginning of the list of adventures waiting for you in Tamarindo. Don’t miss the opportunity to share the beach vacation of a lifetime in Tamarindo at Sunrise 31 with your friends and family. This place was clean and large. The location was perfect. Right in town but very quiet. Having an elevator for my elderly parents was a must. Excelente el lugar y la comodidad... Todo super bien!! 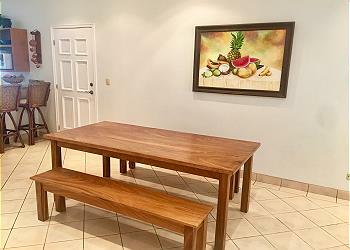 Muchas Gracias Jose, estamos felices de saber que la pasaron super bien y les encanto el condo y estuvieran en perfecta comodidad. Esperamos que nos visiten muy pronto. Craig, Thank you for your suggestions and we are happy to hear you loved your stay. Hope you can come back for a visit very soon! The condo was awesom and had tons of space. 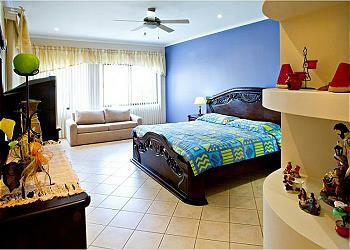 It was listed as 2 bedroom but clearly had 3 bedrooms, 2 with balconies, 1 with the master bathroom. The kitchen, sinking room and living room was huge, balcony was huge. I love this place and will book it again next time I travel with a group. Seth, We're very happy to know that you liked the condo and had a great experience, we hope to have you back soon! !